LONG BEACH, Calif., & ALPHARETTA, Ga.--(BUSINESS WIRE)--Atrium Hospitality today announced Swietlana Cahill is the new general manager of the company’s Hilton Long Beach in California. Cahill joins Atrium with more than 25 years of hospitality experience, including 12 years in the Los Angeles area. The 399-room/suite Hilton Long Beach is owned and operated by Alpharetta, Georgia-based Atrium Hospitality, which is ranked one of the nation’s largest hotel owners and operators. Cahill’s extensive hospitality career includes properties in five states, spanning well-known brands and boutique hotels, including The Peabody Memphis in Tennessee. Prior to her role with Atrium, Cahill served as general manager of the Embassy Suites by Hilton Irvine Orange County Airport. Under Cahill’s direction, guest satisfaction and associate satisfaction scores at the hotel significantly improved. She was recognized for her outstanding performance with numerous accolades from the brand and hotel ownership, including the “General Manager of the Year” and the “Excellence in Profit Award,” among others. Her career in the Los Angeles area also encompasses the role of general manager at the 683-room/suite, historic Millennium Biltmore Downtown, including overseeing 70,000 square feet of meeting space. Cahill’s additional experience with the Hilton brand includes serving as general manager at the DoubleTree by Hilton Hotel Memphis Downtown and at the DoubleTree by Hilton Hotel Los Angeles – Commerce. Cahill has a bachelor’s degree in mathematics from PMP College in Russia. She also attended Moscow University in Russia to study math and philosophy. She is a member of the American Hotel and Lodging Association and the Hotel Association of Los Angeles. 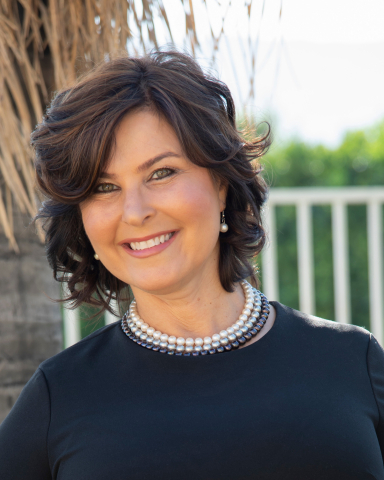 She serves as a committee vice president and in board positions on the Irvine Concourse Association, a 48-acre, pedestrian-friendly, master-planned business campus. In addition, she has participated as an executive board member on the Central City Association of Los Angeles and with the City of Los Angeles Department of Recreation and Parks. Working with her team members to serve in the community is a part of her management style, including collaborating with area nonprofits to feed the hungry. Located at the World Trade Center Long Beach at 701 West Ocean Blvd., the Hilton Long Beach in California is in the heart of the business district and a mile from the beach. The recently renovated hotel offers modern accommodations with the amenities today’s busy travelers expect. Guests can enjoy a pool and fitness room. The Loft Restaurant offers delicious breakfast buffets, with the Enclave Lobby Bar and Kitchen serving innovative dishes. The upscale property also features 25,000 square feet of flexible meeting space and delivers professional business support services, including A/V equipment and video conferencing. The 399-room/suite Hilton Long Beach can be reached at (562) 983-3400. Visit www.hiltonlb.com for more information. Atrium Hospitality is ranked one of the nation’s largest hotel owners and operators. Headquartered in Alpharetta, Georgia, the company oversees a portfolio of 82 hotels in 29 states, representing well-known brands such as: Hilton, Marriott, and IHG, among others. With nearly 10,000 passionate associates, Atrium operates 21,595 guest rooms/suites and approximately 2.3 million square feet of event space. Being a responsible community partner is a part of the Atrium culture, including supporting a range of civic and community activities. Atrium is proud to financially support the Clean the World® initiative of shipping recycled hotel soap and plastic amenity bottles for distribution with humanitarian purposes in communities domestically and around the world. In addition, several Atrium properties nationwide participate in Project SEARCH, a nine-month school-to-work program for students with intellectual and developmental disabilities. For more information about Atrium, visit www.atriumhospitality.com. Swietlana Cahill joins Atrium Hospitality as GM of 399-room/suite Hilton Long Beach in California. Cahill brings 25+ years of hospitality experience.